The dog days of August are upon we writers of NBA blogs. With no signings to report, here's a quick look at how Gelabale and Petro are faring at the 2006 FIBA World Championships. Petro had a nice showing against Serbia & Montenegro, posting 8 points in a mere 12 minutes. Likewise, Gelabale's had 1 good game (14 points and 7 boards against Nigeria), and 2 other not-so-good games. Too early to get a good read on the games, but Gelabale's presence in the starting lineup is reassuring, and Petro has done what you would expect out of such a young player. "Frederic Weis was the catalyst for France early on." In other news, Eva Longoria's happy Tony Parker got hurt, because it makes it easier for her to root for the American team. Glad that crisis was averted. Oh, and Ibo Kutluay is still alive. He also scored more points in 30 minutes against Lithuania than he did in his entire Sonic career. I'm guessing signing Ibo to a 2-year contract won't go on Rick Sund's resume any time soon. What's your favorite memory from your Sonics career? I would say going to the Western Conference Finals against the Lakers - having an opportunity really to beat them, playing four tough games. We lost all four of them. The two in Los Angeles could have gone either way - it felt like Magic Johnson got some calls he didn't deserve. Dale (Ellis) got his shot blocked by Michael Cooper in Game 3. I hit a 3-pointer at the buzzer to lose by one, being down by four. It was a tough series, but it was a situation where we didn't win that many games the year before, we were picked to be the worst team in the league again and we all just came together and meshed. Bernie was the mastermind behind everything. Tom Chambers and Dale were the go-to guys. I was that third go-to guy where, if one of them was slacking off, I could pick it up offensively. We ran a trap defense. I think that was a great year. The only part about that is I'm sad we never built on it. That kind of always spoiled things for me. It's still early, but here's a quick look at how the minutes may shape up next year for the Sonics. Those numbers are obviously subject to change, especially in regard to Swift and Petro, as nobody knows which of those two guys will take over the 5 spot this year (my early vote is for Swift, if for no other reason than his additional seasoning and apparent physical development during the offseason). Plus, it's possible that Ridnour may see his numbers decline as the season progresses and Bob Hill salivates at the idea of Watson's strong defense getting more PT. Quite a bit of Sonic coverage in the 3 dailies today, and by Sonic coverage, I mean coverage other than Clay Bennett/OKC/Schultz coverage (which, I think we can all agree, is about as fun to read as a study on snail remains). Anyhow, the Times, PI, and Tribune all agree that Chris Wilcox will be inked to a 3-year deal, with his salary targeted at either $7 or $8 million per season, or basically what everyone's been expecting for about 2 months. "From here, Sund is expected to offer a two-year, $25 million contract extension to Rashard Lewis in late September..."
"Wilcox is expected to compete with Nick Collison for the starting power forward position this season ..."
Really, does anyone expect Collison to have any chance at all of starting over Wilcox? I think it would be more likely to see Earl Watson surpass Ridnour than to see Collison surpass Wilcox, but maybe I'm off base here. In any event, a good bit of news for the Sonics today, amidst a summer of craptacular headlines. Hooray for us. "DO NOT BELIEVE ANYTHING ANY AGENT OR GM SAYS DURING THE SUMMER MONTHS, ESPECIALLY IN REGARD TO FREE AGENT NEGOTIATIONS." This in light of the accumulating evidence that 1) Chris Wilcox will sign a 3-year deal for $20 million with the Sonics and 2) Drew Gooden will sign a deal with the Cavaliers. As of 1 week ago, all evidence pointed to neither of these events taking place, and yet, here we stand, with both likely to go down by mid-week. Of course, to Sonics fans, this is a great thing. Signing Wilcox to a 3-year deal at that price is fantastic. Even if he turns out to be a 2-month flash in the pan in a contract drive, the Sonics will soon be rid of his contract. If he turns out to be a stud, well the Sonics just signed a double-double caliber PF for about $7 million a year. Not bad. Fortson's playing status with the team is TBD, but he's on the roster regardless. No matter how you cut it, the Sonics have a couple of roster spots to fill. It seems likely that Noel Felix is sitting pretty for one of them, leaving one open. I've thought that a 3rd-string PG will likely fit that bill. 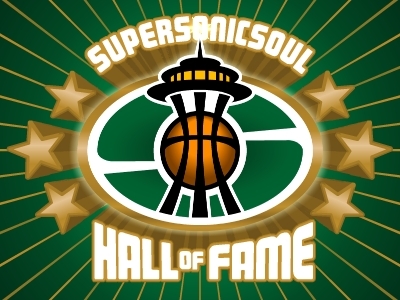 Any thoughts out there on who the Sonics should pick up? To get you started, here's hoopshype.com's list of available free agents. 5. At age 26, Lewis averaged 20 pts, 5 boards, 2 assists, and 1 steal. At age 26, Worthy averaged 20 pts, 5 boards, 4 assists, and 1 steal. Rashard's a tough guy to pigeonhole. 6'10", he's a great outside shooter, yet he can also run the floor. He's not much for defense, but he's tall enough to shut down any SF in the league. He's been in Seattle longer than any Sonic, yet he's not nearly as popular as guys that have arrived since his debut. In sum, he is a conundrum, a tall small forward whose phenomenal talent has left Sonic fans always wanting more. 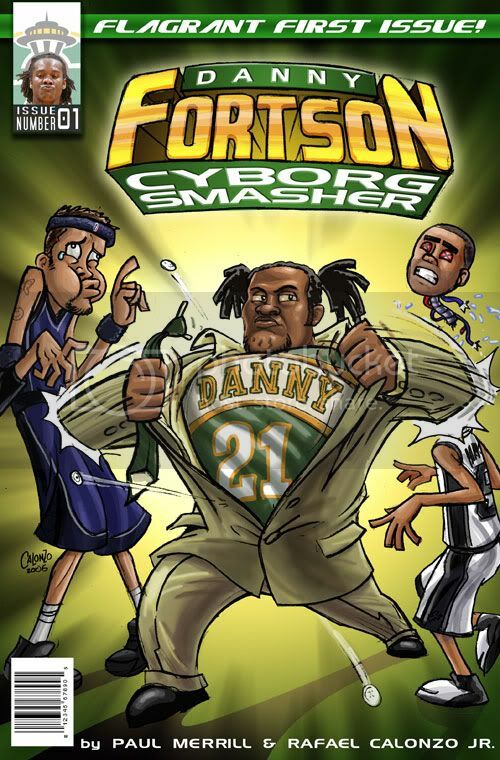 But maybe, just maybe, we should just accept Rashard for what he is - a classic 3. Great scorer, acceptable defender, capable of scoring 20 points every night, and a borderline all star. I don't know about the rest of you, but I don't mind having a guy like that on my team.